The same way you created your 1st floor. Or do you mean something in particular? 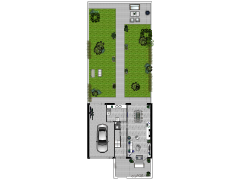 Click the 2nd floor title and just start creating your floorplan.